Nintendo's E3 2014 Strategy: oh btw… Pac-Man IS in Smash Bros.
Not a ton of riveting gameplay footage there. Anyway, in the midst of it all, there is Sony, there is Microsoft, and there is Nintendo. Yes, Nintendo is still peddling that Wii U thing of theirs. The console that has been largely forgotten recently, well up until the release of Mario Kart 8 and the arrival of psychotic Luigi to the internet. There are games all right, but many titles there were products that we already knew about. Bayonetta 2 is exciting and it is awesome to see the original Bayonetta included as well but, well, where is the new Star Fox? Turns out it was there. As was Mario Party 10 and two other brand new series (currently dubbed Project Giant Robot and Project Guard). Yes, evidently Nintendo believes in saving the best… for sometime other than their national E3 event. As seen in the Nintendo Digital Event, there were only two Super Smash Bros. character reveal trailers: The Mii Fighter and Lady Pala – Pale – Palutena (clearly a Nintendo A-lister). Pac-Man was also revealed but at the end of the day, at a non-streamed Nintendo developer roundtable. Now this is really strange. Pac-Man represents the unprecedented third third-party character in a Super Smash Bros. game. Plus, it’s freaking Pac-Man! Players will now be able to have the ultimate retro gaming rumble as Mario, Sonic, Mega Man, and Pac-Man are all together. No, no, show Lady What’s-her-Face, that will get the crowd pumped more. While it seems that Nintendo has had the most exciting E3 of the large companies (sorry Microsoft and Sony, I’m just not excited to re-buy games from you in the near future), the company is still employing bizarre marketing techniques. It wasn’t all bright and cheer either as Ubisoft announced that they are sitting on completed Wii U games, but are unwilling to release those titles until Nintendo can build more excitement for the Wii U. Announcing games in bizarre ways outside of your main event may not be the most efficient way to build hype, Nintendo. Just saying. 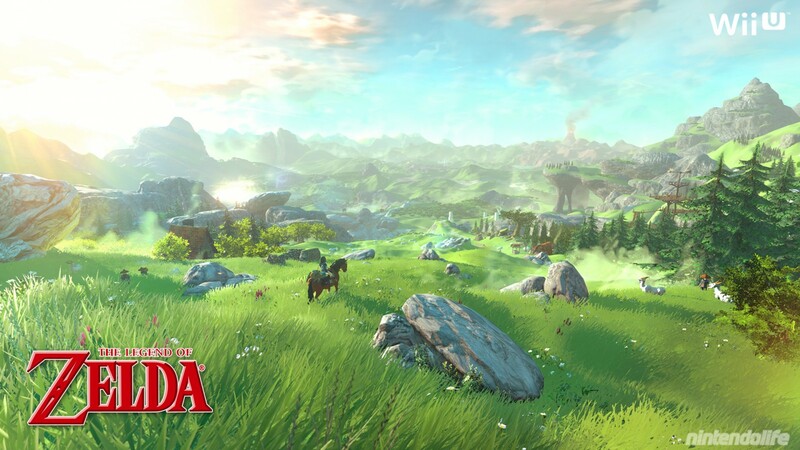 It does help when this is how the new Zelda game will look. No, really, this is confirmed to be in-engine graphics.